Get Cross Fit, is a private training facility based in the heart of Pettswood- London. Since I established Get Cross Fit in 2016, I have been recognised for my ability and motivation. 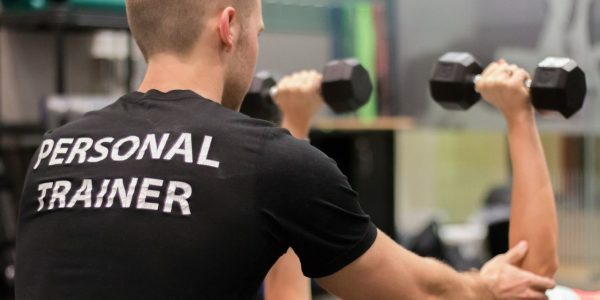 Get Cross Fit has created a 360 approach to training with bespoke programmes that include all areas of fitness to lead a functional and healthy lifestyle. On a nutritional level, by analysing your macro intake and activity levels, we are then able to pair that with a bespoke training plan to include both cardiovascular and strength training. This yields an improved metabolic rate, increasing your fat burn potential. At the core of our beliefs, we want all clients to make progress that don’t have a short life span, but for you to be able to sustain the development for future years. Yo-yo dieting and ill-advised training routines are out. What is IN, is a methodical approach to you and your goals. We want to understand a little bit about what makes you tick, what your fears/understandings are towards training and nutrition and to build a solid plan together that is going to give you the best results! Following an initial and FREE consultation with your Get Cross Fit trainer, they will take some measurements and give you a health check, head to toe. This sets out our starting point and makes all progress identifiable as we progress. Your trainer will then devise a bespoke fitness package to be built around you and your goals. 12 Weeks to change your body! Are you up for the challenge? At GetXFit I have put together a fantastic package to help you get into tremendous shape, irrespective of your current fitness level. A fully bespoke training that is geared towards fat loss and lean muscle gains for men and women to give a more athletic look for men and a leaner, more toned look for women. The end result being improved lung function, reduced body fat, improved muscle definition, increased functional strength and mobility. Free Consultation – Understanding you and your current levels of fitness and composition are the grassroots for deciding what our goals will be. This is a joint effort, so we both need to be in agreement. Weeks 1-2: is our break in phase. You will be making adjustments to your diet, cutting out as many items that we deem necessary to set you on the right course and also to get you used to training 3x per week using full body routines. Weeks 2-4: the body gets settled into its new diet and training routine. There should be improvements in composition, and at the 12 session marker we will take new composition readings, front, side and rear pictures for comparison to gauge our progress. Weeks 4-6 takes us towards the halfway mark. Hopefully things will be going well nutritionally and training wise minus the odd blip, so you should expect to see increased physical strength, faster respiratory recovery, and crucially you will have reduced body fat, making for a leaner, more cut figure. Clothes should start to feel looser and in the mirror you will notice your body changing shape. Weeks 6-8: we are well on the way to forming life long habits with diet, workout ethic and understanding what it takes to eat correctly to allow us to sustain a healthy body long after the training program has finished. Pulling back on our macros from the 6 week mark, and by week 8 we will re-test for composition and lung function and take further readings. Two week countdown! Workout intensity will be at all time high, pushing for new PBs in the gym. You will notice huge improvements in your physique, leaner, more definition and increased energy levels to smash those training sessions! Final week! 12 Weeks after starting this journey, we will look back at our original data, and pre transformation pictures and then take your final readings! Congratulations on 12 weeks of hard work and dedication! Post Training: Now you’ve taken on the challenge of a transformation, you know what it’s all about. What’s next? Well you may decide that you now have the taste for fitness and training and that you would like to start again, but with new goals and objectives to fuel the fire within! I say, bring it on!